A research analysis of over 50,000 businesses has identified eight key drivers, which add business value as well as increase potential sellability. 1. Make your business more valuable than that of your peer’s. 2. 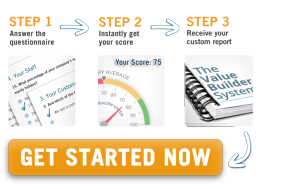 Discover your business’s particular hidden value assets and devaluers. 3. 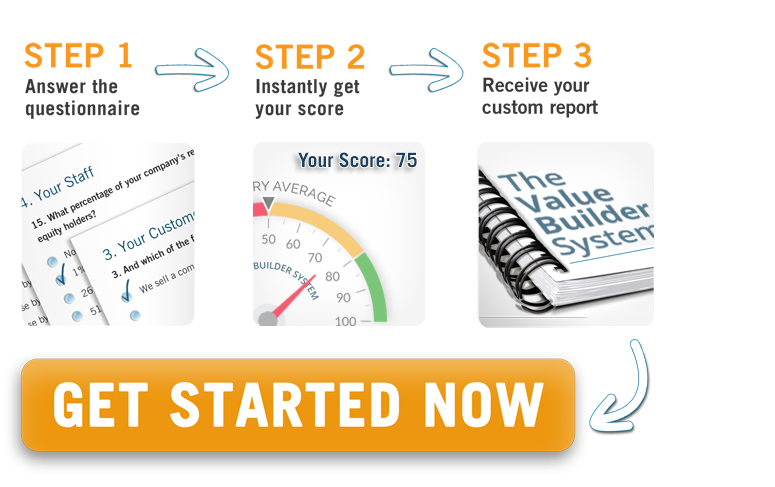 Identify your business’s silent killers that decrease its value. We have developed a Business Value Assessment which provides your business’s particular score for each of the eight key value drivers. Our research determined that businesses with annual revenues between $1 million to $20 million, which score 80 and above overall can be as much as 71% more valuable than those businesses scoring below 80. If you’re an entrepreneur , CLICK HERE to request a brief questionnaire which we use to confidentially prepare for you a customized Business Value Assessment. By taking advantage of this offer, you’ll know what drivers you need to focus on in order to increase the value of your business, and it’s sellability, regardless of whether you intend to sell never or sometime in the future.